The regular season is officially over. Middle Tennessee (7-5, 6-2 C-USA) clinched bowl eligibility last week against North Texas in a 41-7 victory at home. 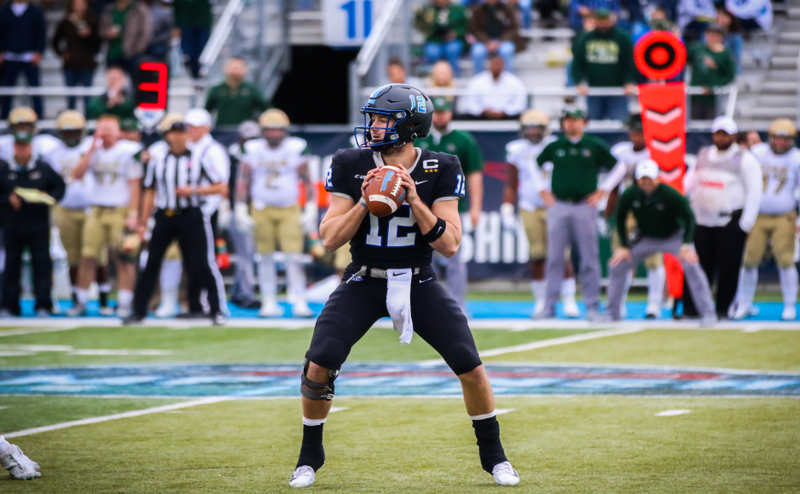 Against the University of Texas at San Antonio (3-9, 3-5 C-USA) the Blue Raiders one-upped last weekend, ending the season on a four-game win streak with a 42-7 win over the Roadrunners. In the locker room after the game Head Coach Rick Stockstill announced that the team would be traveling to the Bahamas to partake in the Popeye’s Bahamas Bowl against an unnamed team from the MAC. Middle Tennessee President Sidney McPhee was thrilled to announce the decision after the win. McPhee hails from the island nation. 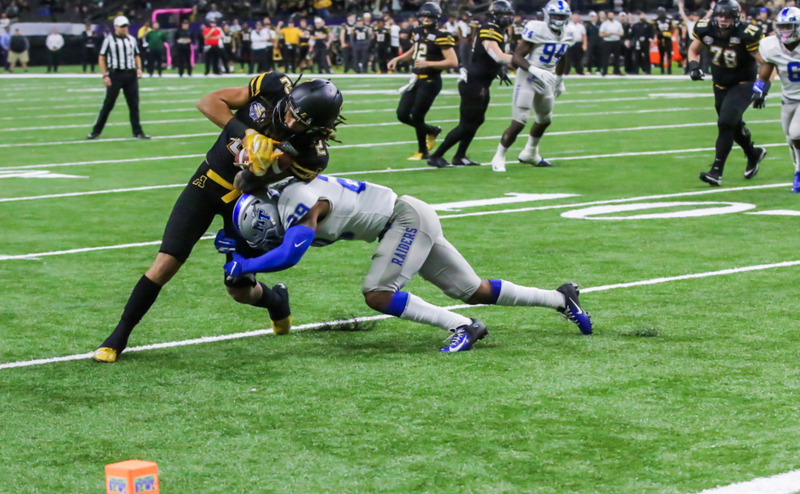 The Blue Raiders were held to only one touchdown in the first quarter but caught fire in the second and scorched the Roadrunners for the remainder of the game. 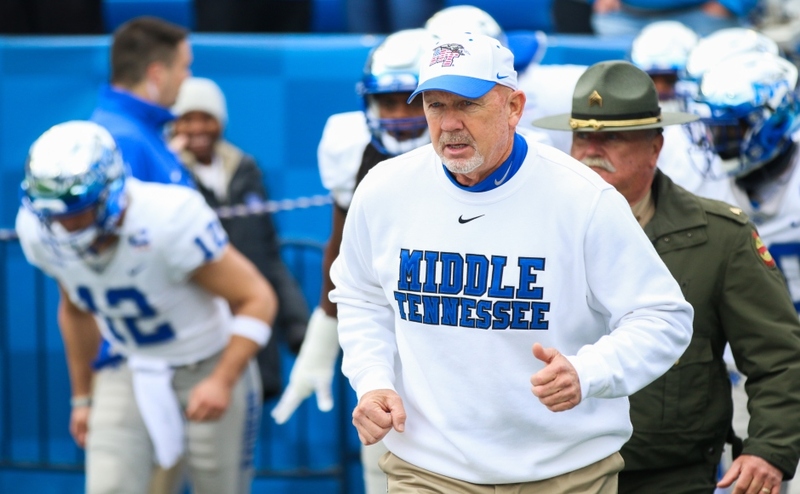 Middle Tennessee led the game in every aspect, and the defense was key in forcing turnovers and multiple plays for losses. 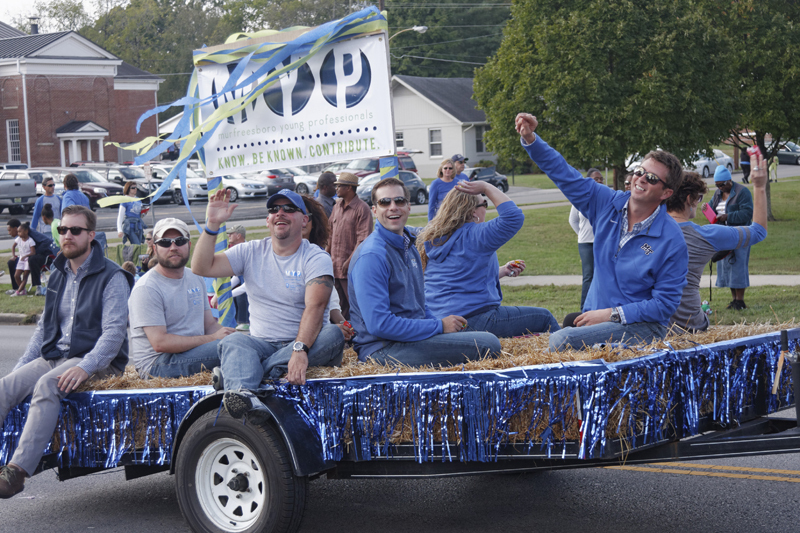 The Blue Raiders commanded from the get-go Saturday, only giving up one score, after the win was already sealed. Middle Tennessee had the rushing attack firing on all cylinders from the beginning. The first touchdown came from Shane Tucker on a 14 yard rush, and the momentum only continued. After a Jordan Parker rushing touchdown and a toss from Stockstill to Pettis for another score, the Blue Raiders led 21-0 at the half. The Blue Raiders were creating extended drives, chewing the clock, and moving the ball effectively and efficiently. They had multiple 12+ play drives for nearly eighty yards every time. The beating only got worse when Shane Tucker projected himself into the endzone for his second touchdown, extending the Blue Raiders lead even further to open up the second half. Just before the end of the third, Alex Dale put the nail in the coffin with a pick six to put the Raiders up 35-0 going into the final quarter. 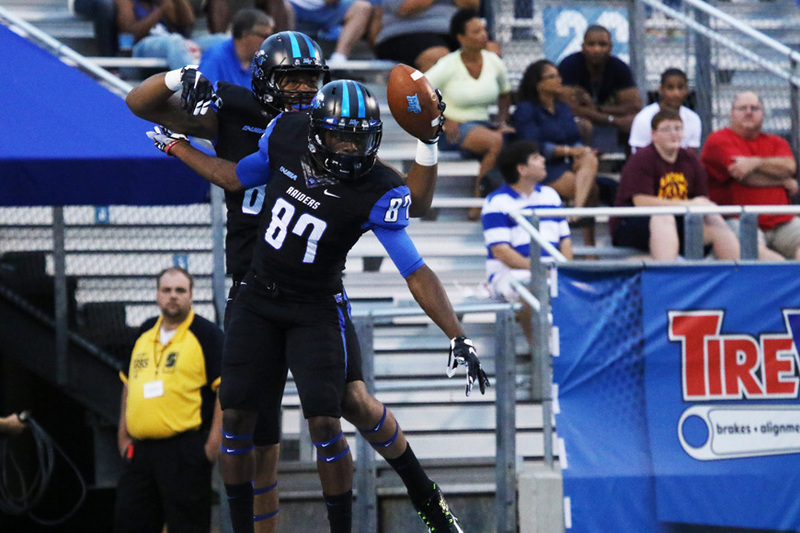 Middle Tennessee cruised to a 42-7 victory with momentum going into bowl season. Just five weeks ago the Blue Raiders sat at 3-5 and were on the verge of another disappointing season, but four straight wins have propelled this team to a new high, and they’ll look to continue that heading into the bowl game. The team fed off of each other’s success for the entire game. Brent Stockstill finished with an outrageous completion percentage (80%) and a perfect quarterback rating. The Blue Raiders also rushed for 200 yards as team.